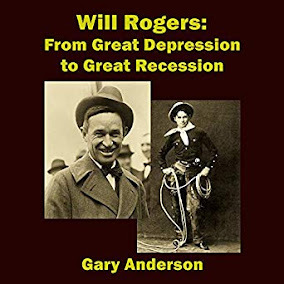 As it turns out, the gold standard collapsed in 1933, because of the Great Depression, although it had been modified previously, so it was not the classic gold standard that was originally designed. Money was too tight even prior to the Great Depression, back in William Jennings Bryan's time. 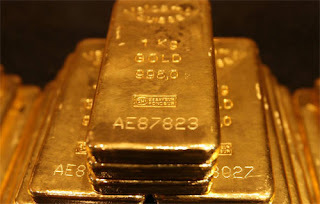 The author of the above study, Mark Harrison, says that in the end, the gold standard became a derivatives market rather than for balancing trade between the nations. The Roaring Twenties gave us easy money even under a "gold standard". Then it collapsed. Hoarding of gold by individuals was the mechanism for collapse of the system. So, we are off the gold standard, and fiat money is based upon the "integrity" of the nation that issues it, according to Armstrong. But the integrity of the nation is based upon how successful the sales of its bonds are. If there is strong demand for bonds, the government looks to be solvent and trustworthy. Start defaulting on bonds and that government becomes untrustworty. So, where are we as a nation in this process? Well, we know that there is massive and insatiable demand for bonds. While this would have been considered a good thing under the Armstrong system, we need to ask is it really? Or is there just a whole lot of hoarding going on? Remember making the gold standard into a derivatives vehicle destroyed the standard, according to Mr Harrison. But now, we have made the fiat standard into a derivatives vehicle as well. The measurement of trust in bonds, bond demand, is being applied to bonds as collateral in the derivatives markets. Bonds are the new gold, and are worth at least as much as gold is in those markets. But those markets are huge, and it becomes necessary to hoard bonds. Larry Summers fears a shortage of those bonds. While not being a fan of Fox News, I report and you decide. Is this fiat system backed by treasury-bonds-as-collateral in danger of breaking because of the new hoarding? Economists among us need to think about it at least. Certainly, there is nothing self correcting in this system of hoarding bonds to feed the derivatives markets' need for collateral. Long bonds' interest rates stay low even in times of boom. That is a huge distortion that would not take place without bond hoarding. There certainly is bond hoarding in the Eurozone. Nobody sells, they just buy. 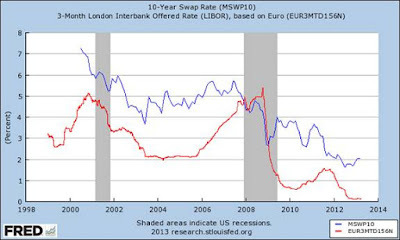 Negative interest rates seem to be a result. Bloomberg weighed in on this hoarding as well. Perhaps only some shenanigans have kept bonds in the US from going negative. These shenanigans mean well, I suppose, because hoarding is not wanted. It distorts everything. So, if you wanted an answer as to whether this fiat system is at the breaking point, I suppose you have to see just how low in yield can we go before the society implodes. I don't have an answer, but economists are screaming for a cashless society because they know where this hoarding is headed. Keynes said gold is a "barbarous relic". Now the economists say cash is a "barbarous relic". And this is said because of hoarding and the need to force people to keep their money in the bank. I say, stop the bond hoarding before somebody gets hurt. That seems to be just common sense. Use something else in the derivatives markets or we will face a very dangerous world going forward and something could break.